This is an interesting circumstance. We’ll often interview a doctor for SpaceCoast Living HEALTH and then work to keep the content relative and quick to rod. I originally had thought that my interview with Dr. Jasen Kobobel would be to discuss his Brevard Family Walk-In Clinic, but as I found out, and you will read, Kobobel is on a mission. What follows is his soy about his conversion from non-believer to full-on advocate for stem cell research. This is exactly as it was told to us after his photo shoot. I must say, I left the office that day after the interview feeling quite hopeful with the possibilities this treatment holds for our future. 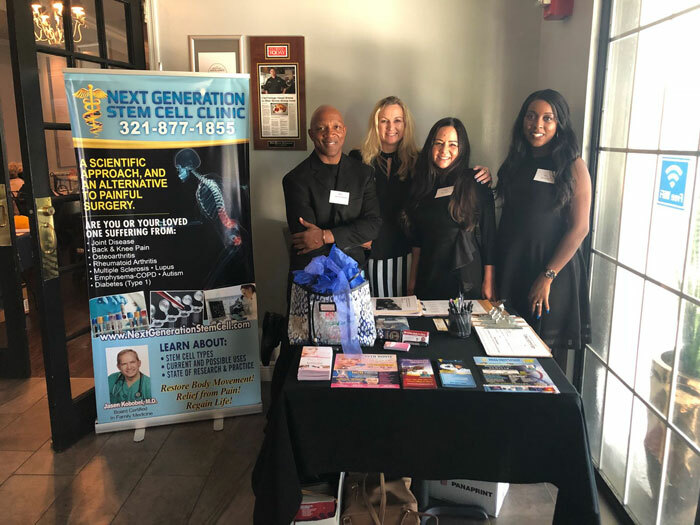 “More than five years ago if you had asked me to consider stem cell therapy I would have said, ‘No, absolutely not.’ I didn’t believe in it when I went through medical school and my board certification. I was told that, sometime in the Far future, maybe we’ll understand how the matrix of stem cells will work, but as of right now, we don’t understand how it works and it’s not actually functional. So, that’s what I left school believing? “I needed to know more. I had to know more. I started going to the European databases which had about 18 years of research. I found they have about an 88 percent success rate with curing people in the 60 to 69-year-old range. “That’s directly from the research,” Kobobel added. “Eighty-eight percent of people with one-on-bone severe osteoarthritis requiring surgery didn’t require surgery because they were all repaired. Eighty-eight percent of those people were significantly improved. That is amazingly impressive, especially to a previous skeptic like me.” After Kobobel saw the research that had been done and having two living examples in front of him, he decided to get involved. “I went down to Miami and I was trained by the center that did the treatments on my patients. I was trained and certified there to do stem cell procedures and came back to my clinic and have been doing stem cell procedures now for four years. I was the first doctor in Brevard to start doing stem cell therapies. To our health care providers however, this treatment is still considered experimental. Kobobel adds, “There are some requirements that must be accommodated to make it legal. The FDA said you can use stem cells, but you can’t use them if they’ve been augmented in a petri dish, and that stopped a lot of procedures in the United States and the FDA also requires that patients be notified that the use of stem cells is experimental” At first, stem cells were drawn from blood, but doctors found there was such a low yield of stem cells that it wasn’t worth the effort. Next was bone marrow aspiration; there are more stem cells in the bone than in the blood. That was very successful with augmentation, making it more productive. But, they found out that one out of every ten bone marrow aspirations causes lifelong pain. You solve one problem, give them another problem. The next method utilized liposuction. For every single stem cell that can be drawn from a bone marrow aspiration, 500 can be drawn from a liposuction technique, making fat derived stem cells more effective than bone derived stem cells. ‘ Treatments can go straight from liposuction, which is a 30-minute procedure, to another hour and a half to process the stems cells to purified stem cells, ready for injection,” Kobobel said. One last point Kobobel asks to add, “An injury and wear and tear are the same kind of problem. That’s some structural damage occurring to the knee. Now, there’s another category though and that’s an autoimmune issue. Autoimmune disorders, whether rheumatoid arthritis, lupus, multiple sclerosis can also be treated using stem cells very effectively. The problem is, you have an autoimmune disorder also driving the problem. So, here we go, we grow and thicken the cartilage in the bone or whatever structure we’re building and it improves. The patient has noticeable improvements. They can feel it. They know their life quality’s improving. But with rheumatoid arthritis, for example, the benefits last for about two years, then the benefits start to wane and they start having problems again. So, patients that have autoimmune disorders, need to have additional treatments about every two years. Living with Pain? Listen to Our Patients. Learn about STEM CELL treatments at the SEMINAR. Explore Your Treatment Options. Research shows that your own body produces the cells it needs to regenerate, repair & restore damaged or missing tissue.